If your client has their medications you can check for resonance. If it is yellow then add support items and test until you get a green. 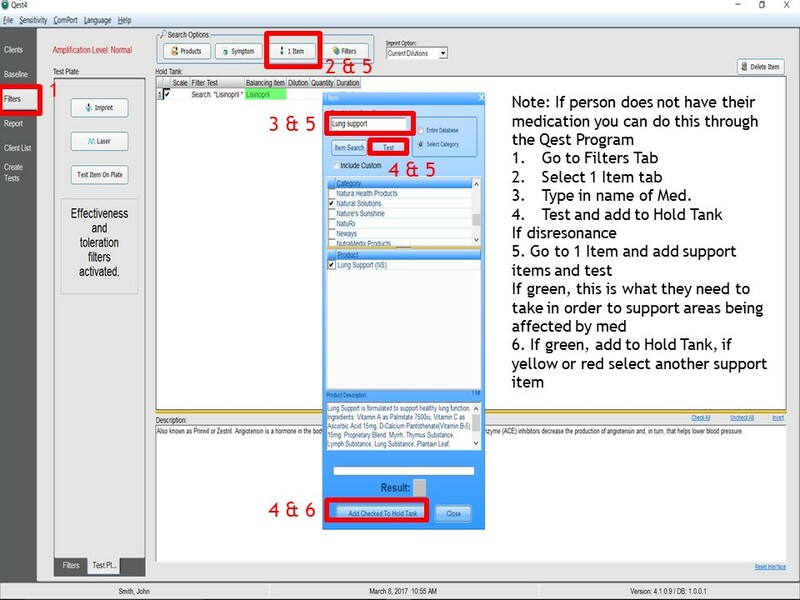 Example: Lisinopril goes yellow….Try adding lung support because it is known to affect the lungs.